Home / Crime / EFCC / Politics / Former Plateau State governor, Joshua Dariye, sentenced to 14 years in prison for diverting state funds is still collecting allowances to the tune of N85 million from the government. 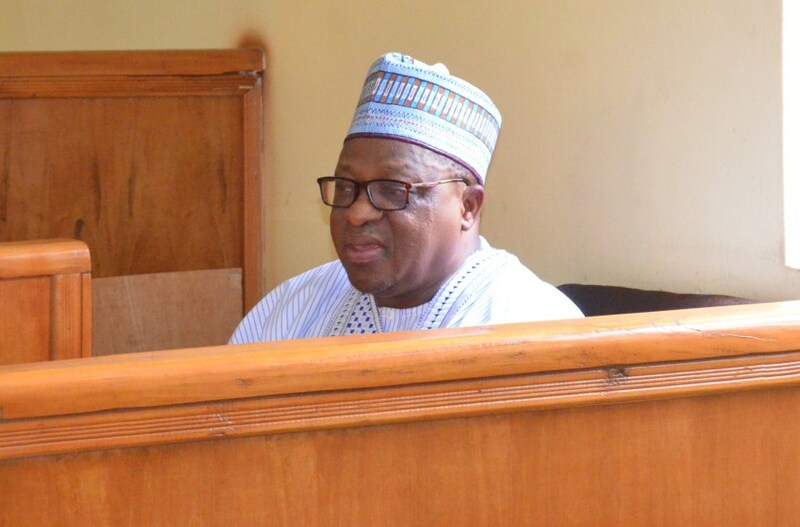 Former Plateau State governor, Joshua Dariye, sentenced to 14 years in prison for diverting state funds is still collecting allowances to the tune of N85 million from the government. Former Plateau State governor, Joshua Dariye, who in June 2018 was sentenced to 14 years in prison for diverting N1.162 billion state ecological funds while he was governor, is still collecting allowances to the tune of N85 million from the government. Punch reports that Dariye who busted into tears in June when he was handed his sentence, is still receiving the N750, 000 salary and N13.5m monthly running cost from the National Assembly. Dariye who became a senator shortly after leaving office, is still receiving the allowances as a serving Senator because his seat is yet to be declared vacant by the leadership of the National Assembly. Confirming the governor was still receiving his allowances and benefits, an aide to the former governor, Christopher John, said the National Assembly cannot declare his seat vacant and stop the allowances because he has appealed his conviction at the Supreme Court and it would be unfair for his seat to be declared vacant when he had not yet exploited all legal channels. Commenting on the situation, the Special Adviser to the Senate President on Media, Yusuph Olaniyonu, said the leadership of the senate has no power to declare a seat vacant and cannot stop the allowances due to Dariye.